This topic contains 26 replies, has 3 voices, and was last updated by towhid 4 years ago. I have removed the “Meta” and “Archives” form sidebar. Can you check please and let me know. If you need any-other help please ask me. I am here to help you. May I know how you removed items in sidebar? What page or file did you edit? You could be seen in widget section I have set a blank text widget and set the widget display:none in css and it was worked for me. How can I change the color skin to custom color? Step 1: Open assets/css/skins/ in this folder create your custom color like others color. You can follow others color procedure as well as. Step 2: Open classes/customizer.php and find 'pink.css' => __( 'Pink', 'dokan' ), after that line paste your custom color code. Please check the below screenshot. Regarding the widget(reply ##39949), I want the whole content to occupy that “blank” space is that possible? Make sure you have set your permalinks as post name and product. Please navigate to Settings->Permalinks and Set your permalinks as Post name and Product. Please check and let me know. 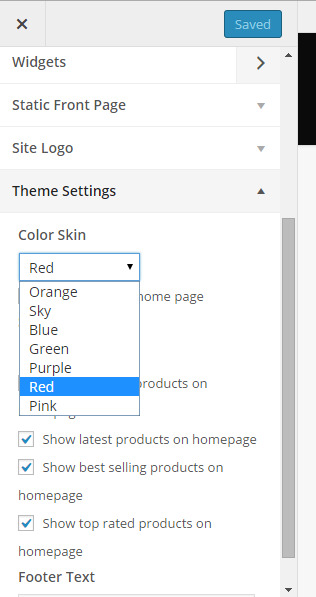 Which theme is now active in your site? Dokan them? If yes please update the latest dokan theme. Hope breadcrumbs issue will be show correctly. The topic ‘Dokan – setup and installtion’ is closed to new replies.